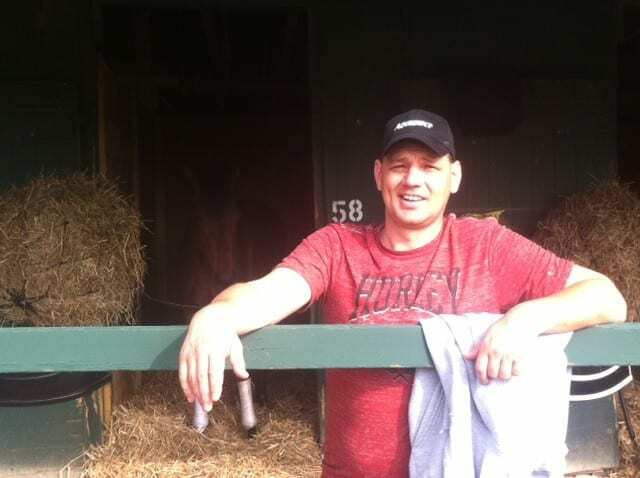 Since his first meet at Delaware Park in 2010, five-time defending leading trainer Jamie Ness has always looked forward to the start of a new season at Delaware Park. The 81st season of live racing is set to open on Wednesday, May 30. Delaware is close to home and the hub of operations for the 41-year-old native of Heron, South Dakota. Since 2012, Ness has been the leading trainer at Delaware Park every season but one, the only exception being when he finished third in the standings in 2014. Last season, he finished tied at the top of the standings with fellow perennial national and Delaware Park leader Scott Lake with 21 wins. Combined, Lake and Ness have won 8,608 career races in North America through May 15. Lake has 5,903 career victories, while Ness ranks 40th on the list with 2,705. They have won a combined 13 training titles at Delaware Park. Lake won seven straight Delaware Park titles from 2002 through 2008, which equaled the record for most consecutive set by the legendary Grover “Buddy” Delp from 1963 through 1969. While Ness takes a great deal of pride in winning trainer titles, being leading trainer is not a goal he sets for himself. Others preparing for the 2018 season at Delaware Park are Scott Lake, Tim Ritchey, Gerald Bennett, Sam Cronk, Randy Nunley, Michael Gorham, Anthony Pecoraro, Louis Albertrani, Jonathan Sheppard, Thomas Proctor, Arnaud Delacour, Ronald Alfano, Victor Carrasco Jr., Bobby Raymond, John Rigattieri, Wayne Potts, Richard Hendriks and Abel Castellano.